A total of 14,130 Texans were built from January of 1940 to August 1945. Approximately 500 T-6s are in flight worthy condition today. North American Aviation designers and engineers Dutch Kindleberger, Lee Atwood and H.R.Raynor designed and built the Texan prototype, the NA-16, in nine weeks. The NA 16 design was exported to Japan in August 1937 and was developed into the Japanese airplane code named “Oak”. The USSR received T-6s starting in 1942. RAAF Flight Lt. Jack Archer shot down a Zero while flying his Wirraway on a routine recon mission on 1/1/43 over New Guinea. 1st post war conversions were in 1948 of the T-6C making them into the G models at the Inglewood, California plant. Texan most wide spread and versatile aircraft ever built. 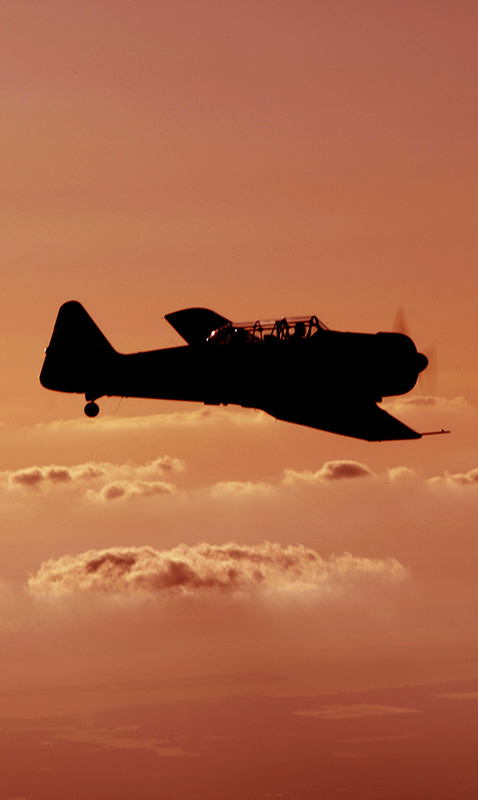 It was used by more air forces in the world than any other airplane from 1938 until 1996 when the Union of South Africa Air Force became the last air force in the world to retire their T-6 Harvards. More than 17000 variations built referred to as NA-26, BC-1, NA-44, AT-6, SNJ, Texan, J-Bird, Harvard, Wirraway, Ceres, Mosquito and Pilot Maker. NA prefix built in California and NT prefix built in Dallas. LT-6Gs Korea Mosquitoes 1952 completed 11063 sorties operated by the Tactical Air Control Squadron. 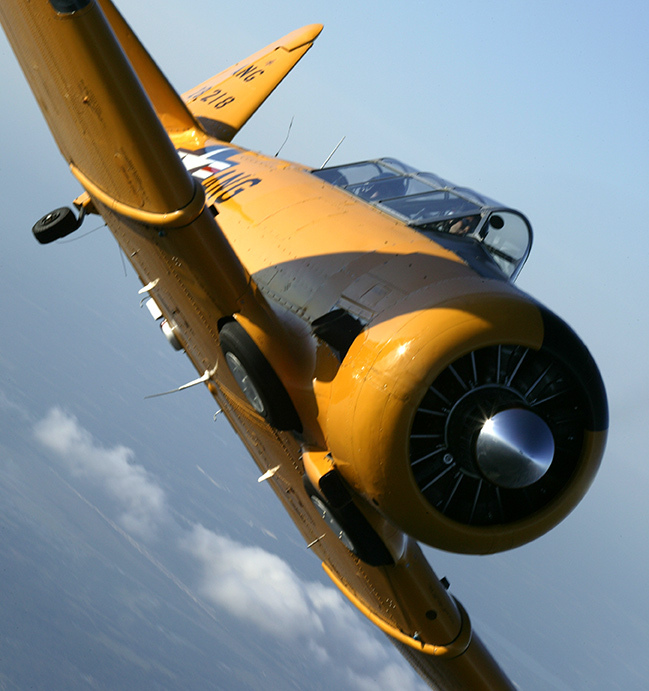 The remanufactured T-6G was the USAF primary trainer from 1951 to 1958. Stressed skin low wing construction monoplane. Sources: North American Aviation Aircraft 1934-1998 by Norm Avery, North American NA-16/AT-6/SNJ by Dan Hagedorn, T-6 by Peter Smith, North American T-6, SNJ, Harvard and Wirraway by Peter Smith.